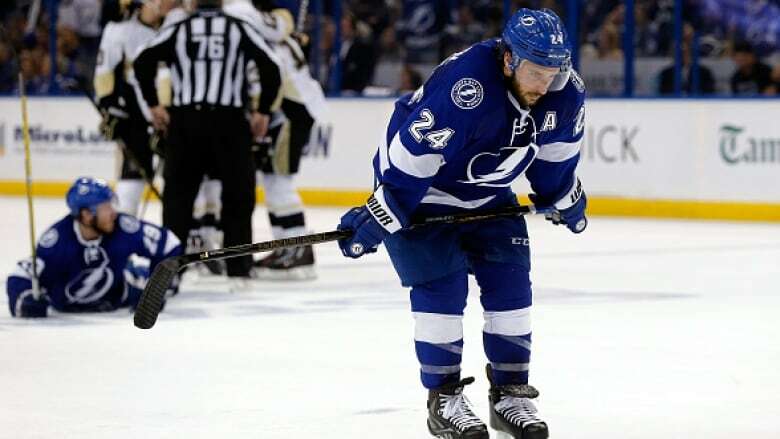 Tampa Bay Lightning forward Ryan Callahan has undergone surgery to repair a labral tear in his right hip and will be sidelined about five months, which could open the door for Phil Kessel or Tyler Johnson to join Team USA in the World Cup of Hockey. Tampa Bay Lightning forward Ryan Callahan has undergone surgery to repair a labral tear in his right hip and will be sidelined about five months, which means he will not play for Team USA in the World Cup of Hockey. Lightning general manager Steve Yzerman said the operation Tuesday was performed by Dr. Bryan Kelly in New York. Callahan, 31, appeared in 73 games last season, finishing with 10 goals and 28 points. He also played in 16 playoff games, notching two goals and four points in helping the Lightning reach the Eastern Conference final. With Callahan out of the World Cup of Hockey, it opens up a spot on the U.S. roster that could be filled by Lightning teammate Tyler Johnson or Penguins forward Phil Kessel. The absence of Kessel was the most notable when the final rosters were announced, as he was leading the Stanley Cup champions in playoff scoring. The gritty Callahan is a favourite of U.S. coach John Tortorella. Kessel is "a top player, but so are these other guys" who made it, U.S. GM Dean Lombardi said. "It's a good problem to have, but you can't have all skill just like you can't have all grit."